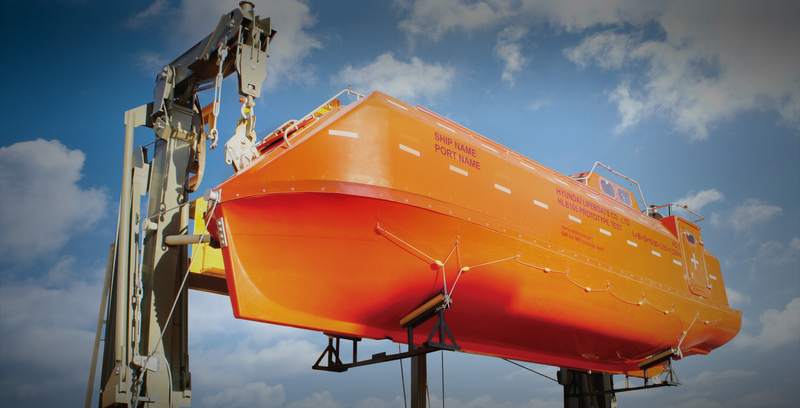 With the latest SOLAS regulations, the HLB lifeboat is the safest and most efficient lifeboat to ensure long-hours safety in harsh and hazardous marine environments. We also have a variety of product lines to help you choose the right product for your needs. HLB's hook release system satisfied the newest IMO regulation that requires lifeboats to be equipped with various safety devices. With 40 years of history, HLB creates a hook release system with innovative design and operational consistency and stability that continuously reflect customer requirements. It is designed to be easy and convenient to install when replacing the old hook of the existing ship with a new one. HLB has developed hull stiffness technology through lightweight and infusion method for high-speed boats, which are equipped with the latest navigation electronic equipment. "I feel my heart swell, whenever I think of all lives to be saved by us." HLB's safety gear is a collection of various certified safety equipment and appliances, carefully selected by our professional to ensure your satisfaction. As we have established two branch offices in Singapore, China, and worked with 92 agencies in 46 countries, we are ready to serve you round the clock. Contact Us Feel free to make inquires of our business, agency education or others.